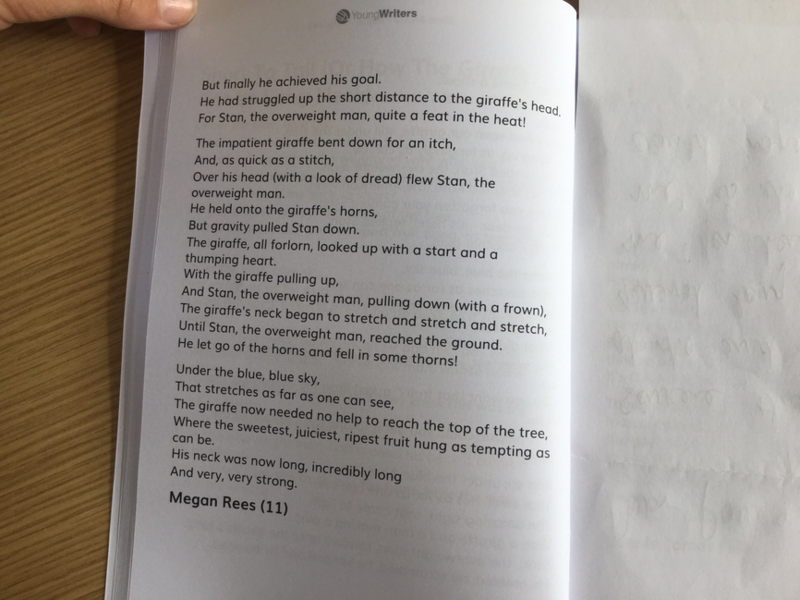 Megan, in 7RT, has had a poem called 'Short Or Tall (Or How The Giraffe Got Its Long Neck)' published in an anthology of children's poetry called Busta Rhyme: Hidden Treasures. 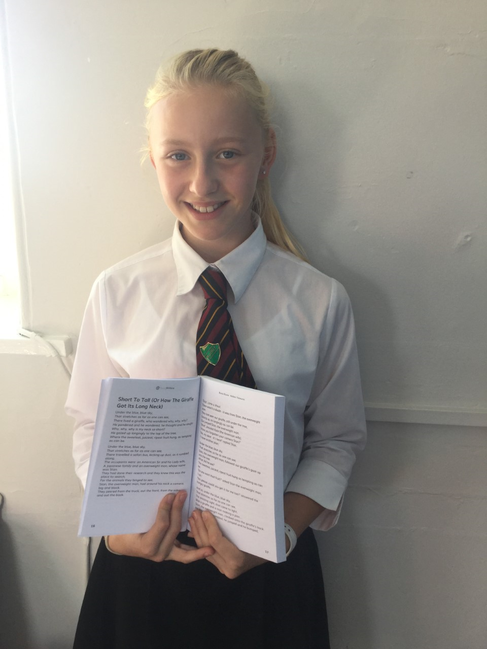 Young Writers launch writing and poetry competitions every year and Megan was successful enough for her poem to be selected for publication in the most recent anthology. 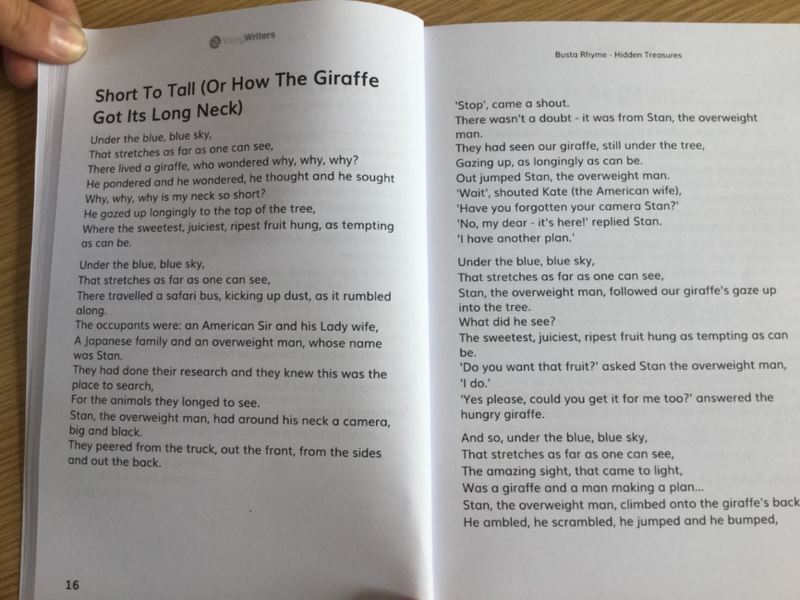 A copy is available for borrowing in the school Library.